Double Ring Swivels with a matt black non reflective coating. 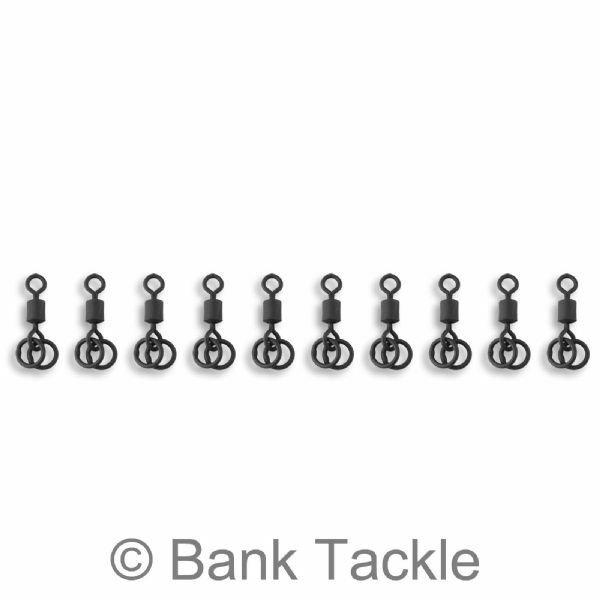 Double Ring Swivels were originally designed for drop off in-line lead set ups. 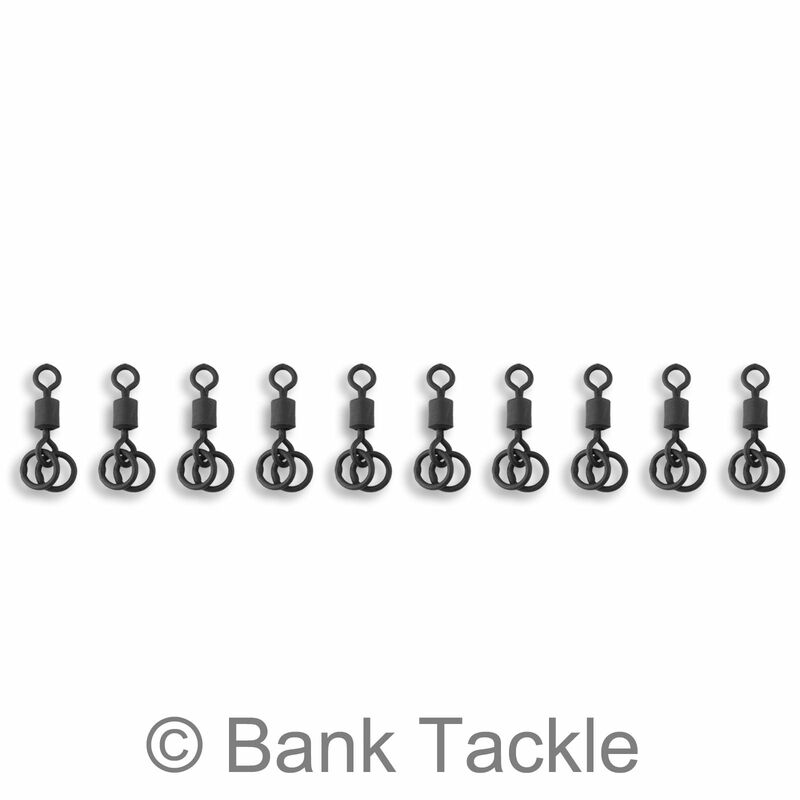 One ring provides the flexible hinge for the hook length while the other ring is the attachment for the leadcore leader. This set up is very effective when stalking carp in weedy margins as the swivel easily pulls out of its housing allowing the lead to fall away. 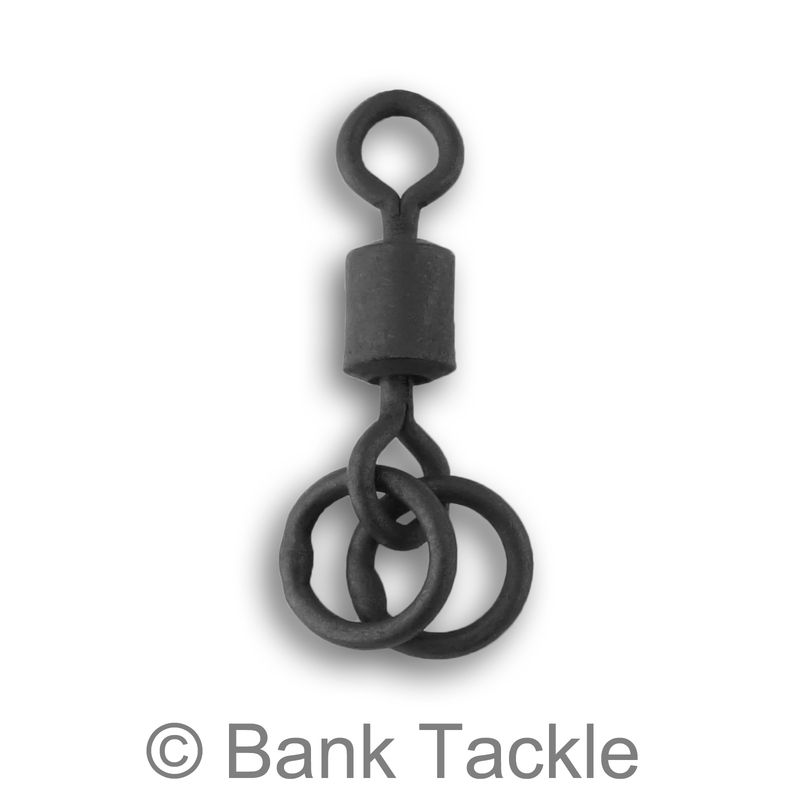 Our Double Ring Swivels are genuine UK size 8 and fit all standard size Lead Clips on the market.